Awesomest time! So fun. Very challenging to do in an hour. Would love to go back and do another one!! Highly recommend! Great date night. Your group has booked an amazing rainforest excursion tour where you will be guided by local tribesmen through an untouched and pristine rainforest. You will have an exclusive tour of the local fauna and flora and take away memories that will last a lifetime. After you touch down in an isolated airport carved into the deep forest, you are taken by local guides to the site of your first campsite. Your adventure awaits. 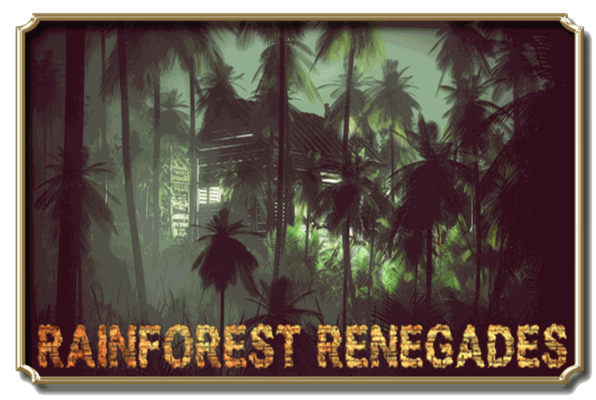 Reviews of escape game "Rainforest Renegades"
Because the venue isn't a dedicated escape business, my expectations were low, but I was pleasantly surprised. The room had a lot of content; some typical puzzles, some less-common types, and a couple that were genuinely novel to me. Lots of content that demanded cooperation, too. Extremely well done. Great time! Can't wait for more rooms to open up!